The movie doesn't have a writer yet, but sources are already suggesting that it will be an origin story. 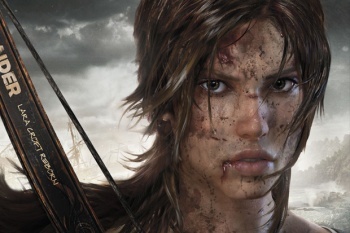 Last month, rumors emerged that suggested there was a new Tomb Raider movie in the works. As it turns out, that rumor was absolutely true, and Lara Croft should be returning to theaters sometime in 2013. The movie rights to the franchise now belong to GK Films, headed by British producer Graham King. The project is in its early stages - it doesn't even have a writer attached to it yet - but it's thought that GK films intends to make an origin story. According to a statement from GK Films, the goal is to "create daring new adventures for the young and dynamic Lara Croft." This suggests that Angelina Jolie won't be playing Croft a third time, despite her recent work with King on last year's The Tourist, as well as an untitled movie about the Serbian War in which Jolie will make her directorial debut. As well as the rumor about the project existing in the first place, there was the suggestion that Tron: Legacy star Olivia Wilde was being considered for the lead role. It's not clear whether those rumors are also true, but it's not outside the bounds of possibility. The third and final part of last month's rumor was that the movie would be darker than previous outings, and looking at King's filmography, it looks like it might have some legs, too. King's previous work includes movies like Blood Diamond, a drama set during the Sierra Leone civil war, and The Departed, which starred Matt Damon and Leonardo DiCaprio as an uncover criminal and cop, respectively, with each desperately trying to discover the other's identity. King's has also worked on lighter fair, like the recent Rango, but most of his work is rather serious. That doesn't necessarily mean that the Tomb Raider reboot will be grim and gritty as well, but it seems to be a pretty common thread running through all the films he works on. Moreover, with Crystal Dynamics' upcoming Tomb Raider game reboot also aiming for a darker tone, a darker movie would seem to be a rather nice fit.